CarGurus has 21,351 nationwide Impala listings starting at $1,100. The Impala provides plenty of room to move people and cargo comfortably and fairly economically. Chevy cut corners on interior quality and suspension refinement, leaving the Impala a mediocre player in the midsize family sedan class. 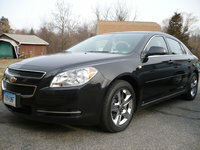 If the bottom line is your most important line in the purchase of an economical utility sedan, give the Impala a look. Although classified as a midsize sedan, Chevy’s popular Impala sits at the upper end of the size scale, close to the Toyota Avalon, Chrysler 300, and Ford Taurus, and also competes with the “more midsized” Accord, Camry, and Altima. The model range includes the base LS, a mid-range LT with 1LT and 2LT upgrades, the luxury LTZ, and the performance SS. With a rather nondescript overall style, the economical Impala fits the bill for hauling people and, with its spacious trunk and unique fold-flat backseat ability, lots of cargo. Standard equipment is generous, and the Impala ranks highly in safety ratings. The Impala offers two V6s and a small V8, all spinning through a four-speed automatic transmission. Its handling best suits highway commutes and interstate drives. V6 gas mileage is acceptable, and the Impala offers FlexFuel versions that allow the use of E85 ethanol. The standard engine that powers the LS and LT trims is a 3.5-liter V6 with Variable Valve Timing that produces 211 hp and 214 lb-ft of torque. The EPA rates it at 18/29 mpg. The FlexFuel version has the same gasoline rating and a 14/21 mpg rating with E85 ethanol. A 3.9-liter V6, which is optional in the LT and standard in the LTZ, also employs Variable Valve Timing and adds a variable-length intake system to produce 233 hp and 240 lb-ft of torque. 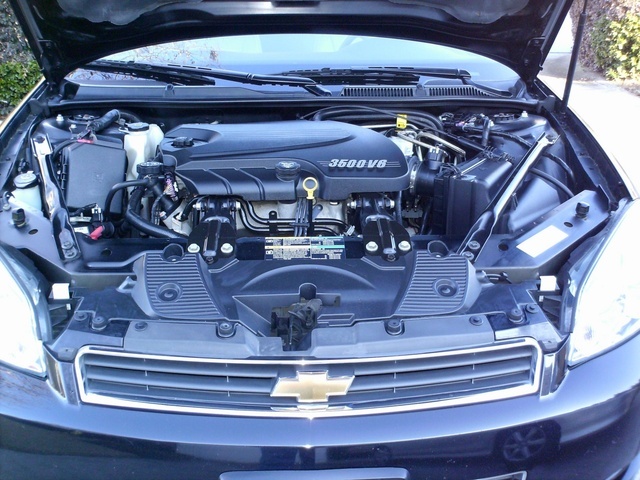 To improve fuel economy, Chevy added its Active Fuel Management system, which shuts off three cylinders when not needed. They claim a 12% improvement in fuel economy with this system. The engine gets an 18/28 mpg EPA rating, and it is FlexFuel capable, rated at 13/20 mpg with E85 fuel. Most reviewers recommend this engine over its smaller sibling, which they rate as underpowered for an Impala-size sedan. At the top end of the Impala's engine offerings is the SS trim’s 5.3-liter small-block V8. It produces 303 hp and 323 lb-ft of torque. The V8 also has the Active Fuel Management system that shifts between eight and four cylinders depending on power needs, but is not FlexFuel capable. The EPA estimates 16/24 mpg, and reviewers warn that indulging in the V8’s addictive rumble can quickly lead to mileage in the high teens. Reviewers managed the 0-60 sprint in 6.4 seconds, with the quarter-mile coming up in 14.5 seconds. All three engines spin power to the front wheels via a four-speed automatic, which is a heavy-duty unit in the SS. The transmission functions as expected, but is no match for the competition's more-refined five-speed automatics. The Impala’s soft-tuned suspension underlies its strength as a comfortable highway cruiser, but it's not for enjoying the twisties. The LS and LT trim lines come with Chevy’s soft FE1 suspension, while the LTZ and SS trims come with the more performance-oriented FE3 setup. Even so, not all reviewers are impressed with the SS's handling, suggesting that trim needed more development time. Others find the SS to be a competent cruiser, helped by both the FE3 suspension and its 18-inch wheels and performance tires. Another issue with the V8-powered SS is its overabundance of torque steer. Some reviewers are critical of V8-powered front-wheel-drive platforms, contending that they are vulnerable to a number of negative handling characteristics, including torque steer. Overall, the Impala is good at absorbing the bumps and jolts of less-than-perfect roads, but pales in handling comparisons with other cars in its class, which tend to be much more agile. Part of the problem can be traced to the Impala’s steering, which produces little feedback and almost no center feel. The brakes, however, did receive a number of positive comments. All 2008 Impalas are equipped with four-wheel disc brakes. The 2LT, LTZ, and SS come with Electronic Traction Control with ABS that features corner brake control (CBC). Reviewers were impressed with the braking system, finding it responsive and powerful. However, a number of reviewers object to Chevy not offering ABS as standard on all trims in a family-car offering such as the Impala. Like the car itself, the Impala's interior is practical and uncomplicated, set off by its twin-brow instrument panel that Chevy says recalls older Corvette dashboards. Reviewers find it a comfortable place to conduct travel, but again, the Impala’s competitors are several steps ahead, providing better styling and higher quality in their interior designs. 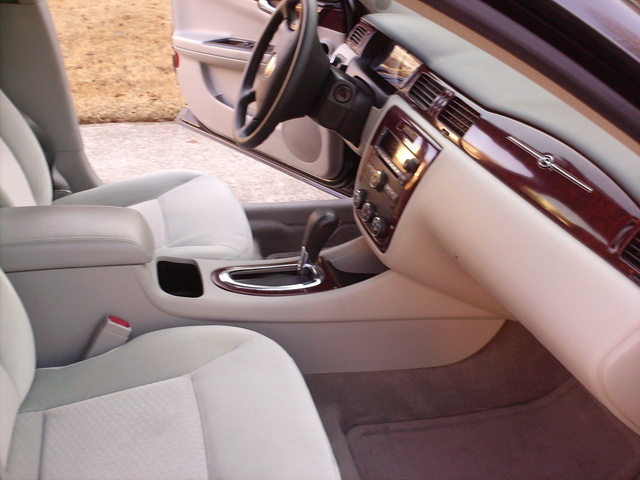 Some reviewers were put off by the low quality of the materials in the Impala’s interior, but another reviewer found the materials above average. Reviewers also disagree regarding the Impala's interior size. Some find a lot of room in a big car, while others claim it has less room than there should be in a car this size. Everyone agrees the 18.6-cubic-foot trunk is substantial. Add to that the 60/40 flip-and-fold rear seats that are standard in 2LT, LTZ and SS models and optional in 1LT, and the Impala becomes a utility sedan. These seats flip forward as their backs fold down into a flat-floor extension of the trunk. Further, under the flipped-forward seats is a composite storage tray that runs the entire width of the rear floor, perfect for even more storage. In front, there is more utility available in the form of an optional bench seat in the LS and LT trims. Reviewers seem impressed by the possibility of a six-seat sedan in this world of two buckets up front with three seats in back. But not all reviewers found it comfortable, some complained that a car this size should offer a lot more personal space, and a few reviewers suggested that five might be comfortable, but four would be happy. The Impala has a long list of standard equipment. The base LS comes with a 40/20/40 front bench seat with 6-way power for the driver, power windows and programmable power locks, air-conditioning, cruse control with steering-wheel-mounted control buttons, 16-inch steel wheels with a tire-pressure monitor, and a six-speaker AM/FM/CD/MP3 sound system that includes an XM Satellite Radio with three months' subscription, and the OnStar system. Building on the LS base, the LT steps up to dual-zone air-conditioning, an eight-way power-adjustable driver’s seat, 16-inch aluminum wheels, and more interior amenities. Two LT trim levels are offered: The 1LT adds 16-inch aluminum wheels, among other refinements, and the 2LT adds the 3.9-liter V6, stability control, 17-inch aluminum wheels, and other upgrades. The LTZ represents the luxury level, building off the 2LT and adding the SS trim’s FE3 performance suspension, leather upholstery, eight-way power heated seats, an upgraded audio system, and 18-inch five-spoke alloys with performance tires. The SS shows off V8 power, a heavy-duty four-speed automatic transmission, and the FE3 performance suspension. It rolls on 18-inch chromed aluminum wheels and W-rated performance tires. The SS was the favorite driver of most reviewers, as its handling was more agile than the cushier highway cruisers represented by the lower-level trim lines. Everyone agrees Impalas are safe. Standard equipment across the line includes dual front smart airbags and full-length side curtain airbags for front and rear passengers, OnStar, and a tire pressure monitor. 2LT, LTZ, and SS trims come equipped with stability control and ABS with Electronic Brakeforce Distribution and traction control; these are optional on the LS and LT.
Government testers have awarded five out of five stars in frontal driver and passenger crash tests and in front side-impact crash tests for front passengers, with four stars for rear passengers. In IIHS frontal offset crash testing, the Impala achieved an “Acceptable” rating (second highest) with a “Good” (highest) in side-impact testing. Impala owners tend to be repeat Chevy owners and are very loyal to their brand. The Impala gets top ratings from owners. 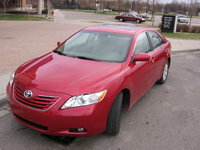 They like its looks, power, comfort, smooth ride, sound system, legroom, and standard amenities like OnStar and XM Radio. SS owners love their V8 power. But owners aren’t keen on the SS’s torque steer and complain that the rear-view mirrors are too small and the view out the back window isn’t great. Furthermore, they want more support from the seats and better cupholders. What's your take on the 2008 Chevrolet Impala? Users ranked 2008 Chevrolet Impala against other cars which they drove/owned. Each ranking was based on 9 categories. Here is the summary of top rankings. 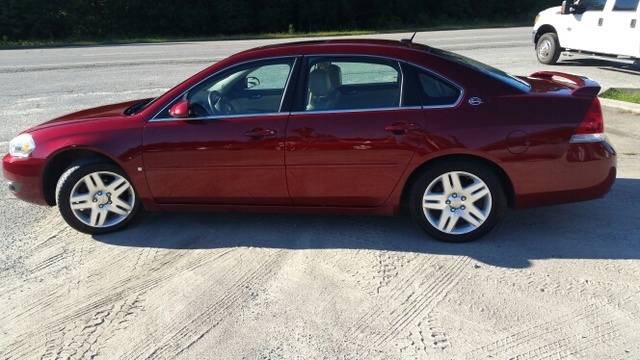 Have you driven a 2008 Chevrolet Impala? Will A 2015 Impala V6 Fit Into A 2008 Impala V6?